Who wants to win FOUR YARDS of LACE?!?!? I know I do! (In fact, maybe I should keep the details a secret and just win the fabric for myself). Okay, fine, I won't be wicked. See details below. The Asoebi Junkie brand is one that promotes African fabrics and native wears. They also source and co-ordinate aso-ebi (fabrics) for events, bridal fabrics and also render personal shopping for exclusive fabrics to individuals. Next weekend, on December 6th, The Asoebi Junkie will be holding Nigeria's first ever textile fair! IN celebration of this upcoming event, they are generously giving away FOUR YARDS of LACE FABRIC (if you win, will you share with me? I just want 2 yards). I was invited to see this play by a very intelligent and high-achieving young lady, and I thought it would be great to share it with you. Sorry the post is coming late, but if you haven't made plans already, you have a chance to go and see this enlightening production. TEECOKS LITERARY INITIATIVE #TLI is at it again as it presents a stage play titled ‘PROMISE OF THE FUTURE’ a manuscript written by TOWUNMI COKER. For those of you who haven’t heard about TLI, it’s a literary initiative aimed at impacting its environment through literature. One of its activities is the annual writing competition for secondary school students in Lagos State. Promise of the Future is a stage play (based on a book of the same title that's out this November) that mirrors the life of a young girl, Ajoke, in her sojourn to better life and livelihood. Life takes a sudden turn when 12 year old Ajoke loses her parents in a fire accident. She becomes a maid and slowly has her life ruptured by the turn of events. There are twists as time slowly morphs her to a beautiful lady, but does the promise of the future hold beauty or more pain? 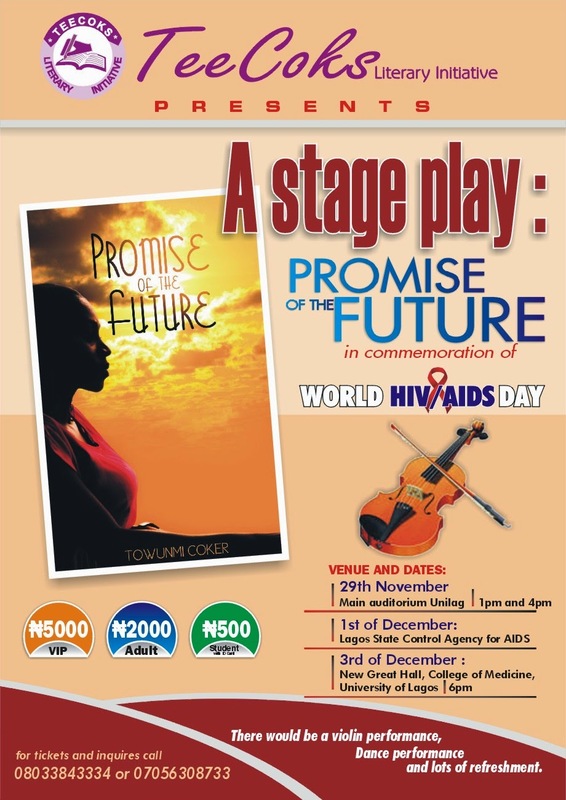 This play commemorates World HIV/AIDS Day, not just address unspoken fears but to enlighten and entertain. AIDS Awareness is essential to every individual across the world. There will be enough fun and merriment, with lots to eat and drink. There will also be free gifts for the first twenty people to arrive. For more details call 08033843334 and check www.towunmicoker.com You can also follow @teewrites on Twitter. Sorry guys, no weekend post today. I know this is deeply personal, but the only way I know how to handle my feelings without crumbling is to write. I found out something towards the end of last week that has irreparably broken our relationship. I've left and I'm currently having withdrawal symptoms. What I found out wouldn't have been a big deal if it was just one time that it happened. I would have been able to live with it. I WAS living with it. It was just once, so I could overlook it and move on. But twice?! In less than one week?! After all the praises I've shouted? After all the noise I made?! After spending so much time. I feel used, abused, and so very stupid. But I'll be fine. I chose to walk away. 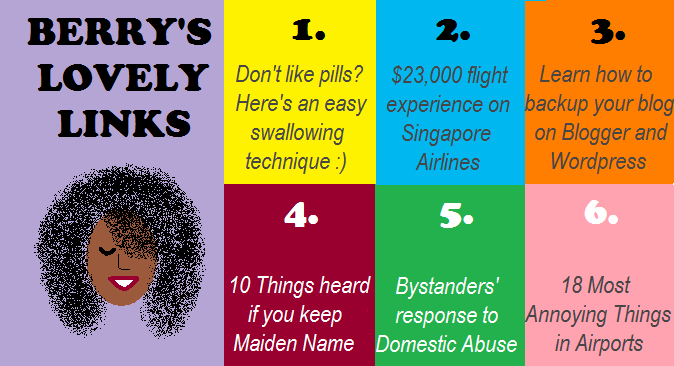 It's another edition of Berry's Lovely Links. 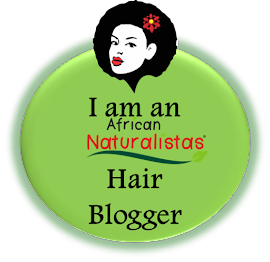 Today we will learn a blogging tip, be wowed by luxury travel, nod in agreement to annoying travelers, and more! Hey yo homies yo yo! You guys know I like to give you Dating and Relationships Advice every now and then (e.g. Why Pet Names are Bad, Reasons to get Married, the Best Time to Break Up - which is around now btw). So here I am listening to me and Cakes' song on my phone. I always like listening to it on the highest volume because it just evokes the passion in the song. I don't know if I told you, but a couple of weeks before our wedding, we had no clue what we wanted to dance to for our First Dance. I wanted Michael Jackson (wait, don't laugh... he has a very nice love song called "I Just Can't Stop Loving You"), and he wanted boring K-Ci and Jojo (nuh uh, the whole world has danced to their songs). I wanted a song that was beautiful, passionate, AND A DUET! (Sometimes I take this Girl Power stuff to the extreme :p) Anyways, we just couldn't agree on a song for a while. I mean, Cakes would say "yeah okay" to some of my choices, but I could just tell he wasn't really into them. I wanted our wedding to be OUR wedding, so I really wanted his input on a lot of things. Less than a month to the wedding... in fact, it was maybe 2 or 3 weeks to the wedding, we watched The Best Man Holiday, and in the funeral scene (where I didn't cry - clap for me) the most gorgeous song was featured: As by Marsha Ambrosius and Anthony Hamilton. It's a remake of an equally fun song, Always by Steve Wonder. I knew that THAT was our song immediately (although sha, shortly afterward my other husband Johnny aka John Legend almost made us change our minds with All of Me). Good morning Mr. Speaker, Panel of Judges, Accurate Time Keeper, Co-debaters, and esteemed audience. I am here to oppose the motion that "All Couples Should have Our Song." *DISCLAIMER #1* I don't hate Beyonce. *DISCLAIMER #2* I haven't always had problems with Beyonce. *DISCLAIMER #3* I'm not trying to step on any toes, so please don't call the Beygency on me. They're scary. Now that that's out of the way, let me continue with this rant of sorts. When Destiny's Child first came out in the 1990's, they were arguably my favorite female group in the world! Apart from a few songs which I downright hated, most of their music were my JAMS!!! Their Survivor album stands as one of my favorite albums of all time. It's just hit after hit after hit! I was a little irritated when they shook up the group (removing Letoya and LaTavia); but whatever, as long as the music kept coming, I was all good. The biggest draw of Destiny's Child to me was Beyonce. I mean, she was pretty, she could dance, she had a booty, she was thick (thick of the 90s and 00s is not the same thick of today o), I hated the way she spoke, but overall, I reeeeeeeeeeeally liked her. In fact, I would pretend that I was her in my bedroom. I tried to mimic her modulations in all the songs, and I was just awed by her. It goes without saying that when she went solo, I was excited. Naughty Girl from her Dangerously in Love album remains on my Favorite Songs list forever and ever and ever! I was going to put up these pictures as part of the weekend post, but since that one was quite long with a lot of pictures, I decided to split it up. If you guys know me, you know I enjoy food. One of my favorite things in the world is ice cream - specifically, chocolate ice cream, or any ice cream with a Baileys flavor, topped with coconut candy, brownies, almonds and a smashed up waffle cone. Unfortunately, loving ice cream isn't great for my waist line, so every now and then, it's better to go with a healthier option = FROZEN YOGURT!!! And this is where Sweet Kiwi comes in. I'm going to start this as a series every Wednesday. From my experience, I don't get that many views over the weekend, and that's usually when I'm catching up with other blogs and reading different things on the internet. 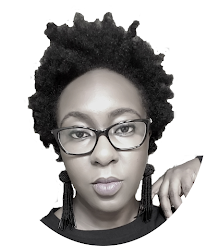 So my thinking is that on Wednesdays, I'll put up links that I've found interesting, in order to help you alleviate stress, learn one or two things, inspire you, and more. Here goes my first Lovely Links post!!! Isn't it funny how Nigerians are plagued with The Foreign Accent Syndrome? For those of us in our 30's, here are 15 Things you should be doing now. Thank goodness! Someone who thinks this #JollofGate matter is silly. FREE JAMIE OLIVER! Have you heard what T-Pain sounds like without Autotune? YES!!!!!!!!!!!!!!!!!!!!!!!!!!!!!! Check out this special look at Avengers: Age of Ultron film. I can't wait! How's it going? How'd your weekend go? What'd you do? Who'd you see? What'd you eat? What'd you wear? Tell me, I'm listening... well, reading. My weekend was pretty for the most part - we had a date night, courtesy of a group at church!